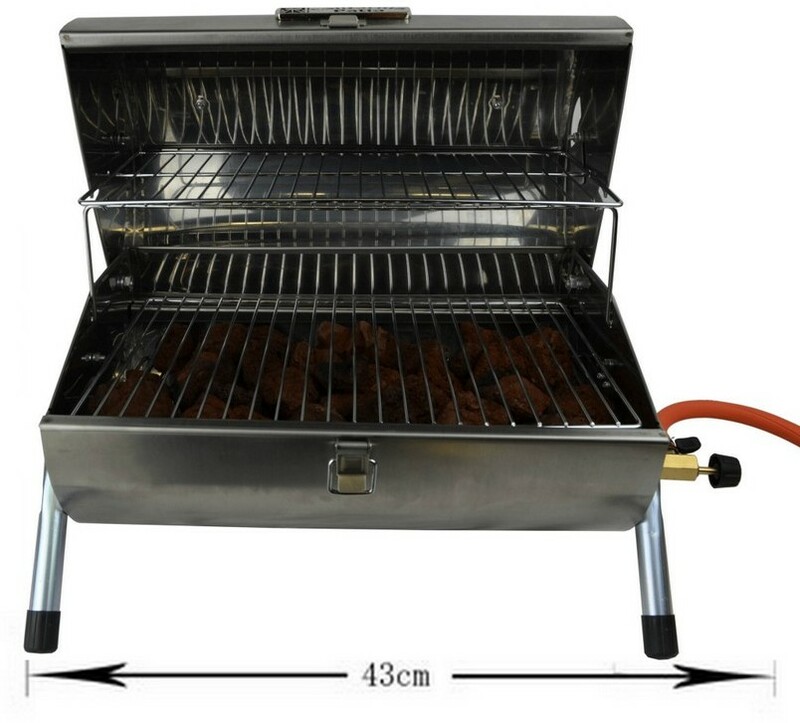 The Handy SS Tank gas BBQ grill by California Patio is a portable gas grill sold to be used in Japan. It includes a propane gas regulator and gas hose. The grill can be used with a Japanese propane tank or an optional cassette gas adapter can be purchased to use with the family style Japanese cooking gas cassettes.